These days accessories are becoming a must-have to complete an outfit, moreover when it is a functional accessories. A watch definitely plays an important role in portraying our personality (or personalities). 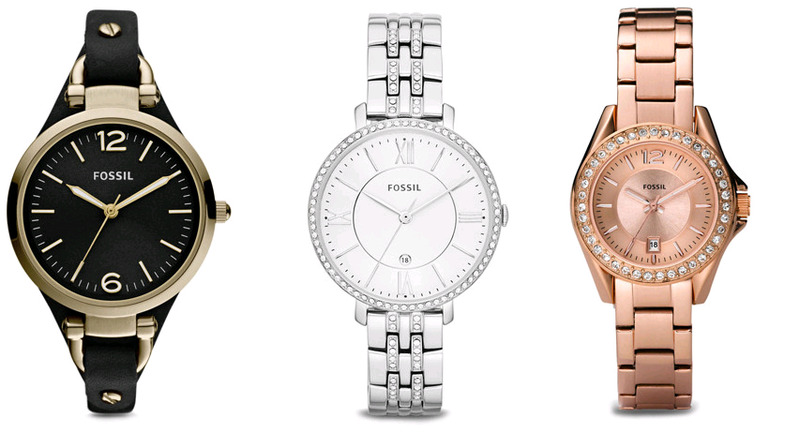 This is why Fossil offers a wide range of amazing watch designs to cater different individual's taste and style. 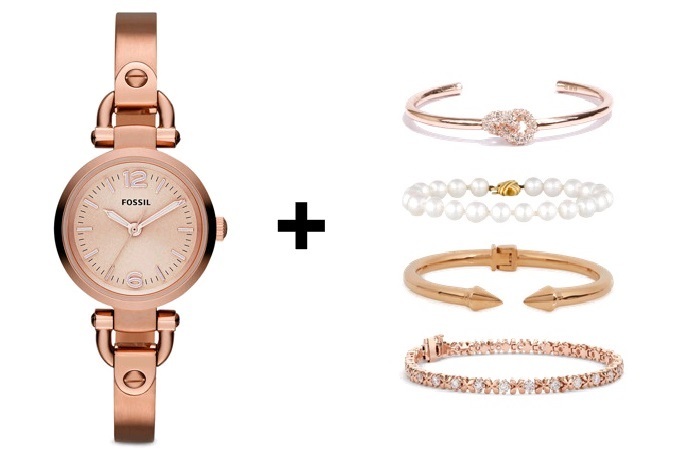 For a sweet and innocent feminine look, choose a watch with a slimmer strap such as the Rose Gold/Pink Georgia Mini Three Hand Stainless Steel watch. As for the arm candies, choose bracelets with similar slim body. Incorporate elements like pearl and diamantes for the added feminine feel. 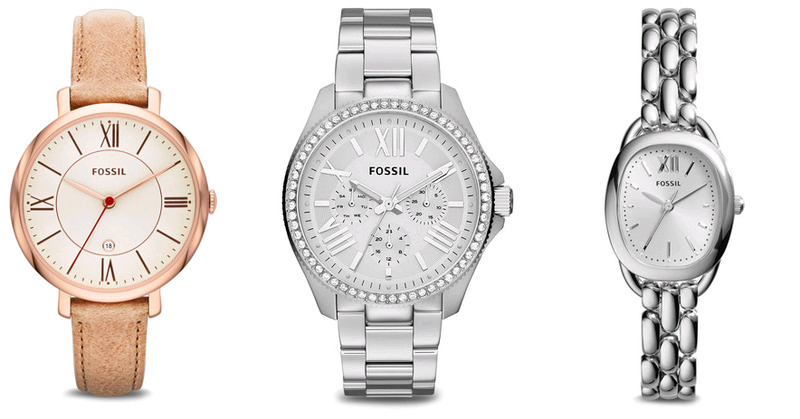 If you're into a more mature and elegant look, the Silver Steel/Silver Virginia Three Hand Stainless Steel Fossil Watch is a perfect one. This watch is also suitable for work, corporate functions and formal events. 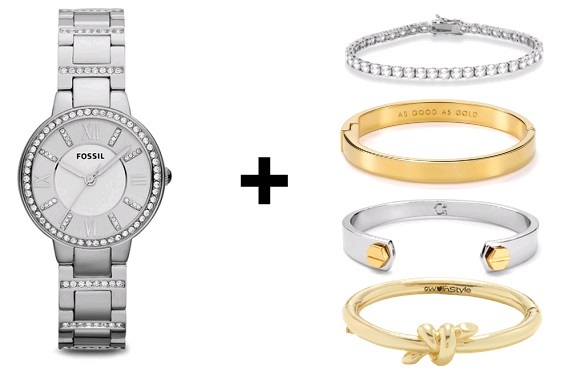 Match it with alternate gold and silver arm candy. Your arm candy should be kept with minimal design so that it will bring out the details of the watch. Casual style lovers, there are plenty of styles to choose from. 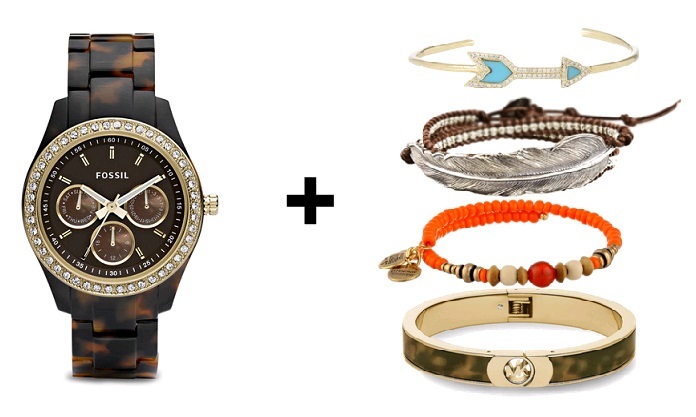 You can even perk up your formal-looking watch into a casual look by matching it with a more casual arm candy. As for me, I love the Tortoise/Brown Stella Multifunction Resin Watch, there's something special about it that caught my eyes. For a boho look, I will match it with arm wrap, turquoise, beads and other arm candies with tribal elements. 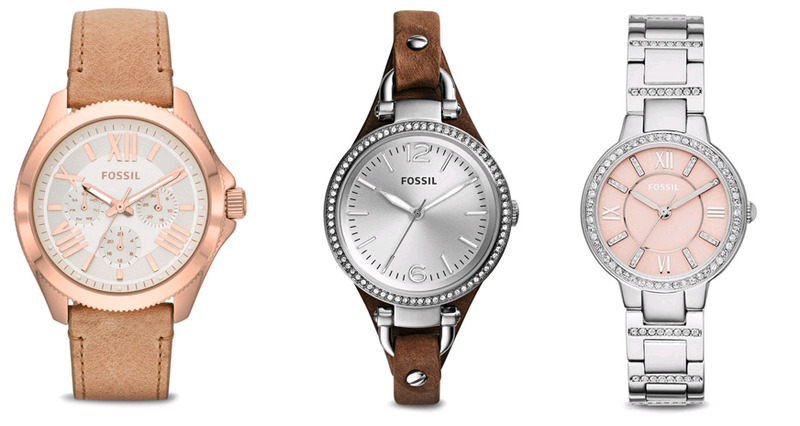 If you have been longing to get a new watch, why not check out ZALORA website for a wide range of Fossil watches selections online.